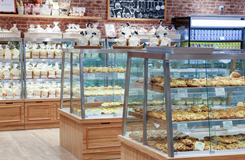 The merchandise assortment brings in goods that are comparable to specialty stores to provide customers with wider choices. 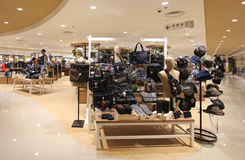 The sales floors present the merchandise according to customers' lifestyles. 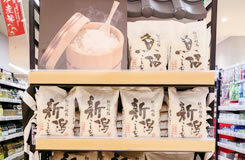 Related products are displayed together for more convenient shopping. Through strengthening education on product knowledge and customer service, AEON STYLE aims to offer a higher level of services. Communication with customers is enhanced to provide more professional advices so that they understand better the value of the products. 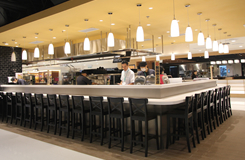 In AEON STYLE, customers have a chance to physically get a feel or taste of the products. Through these experiences, customers can learn the value that is beyond what can be seen by eyes. 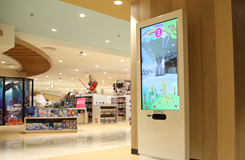 At the same time, more valuable services are provided to enhance the whole shopping experience. 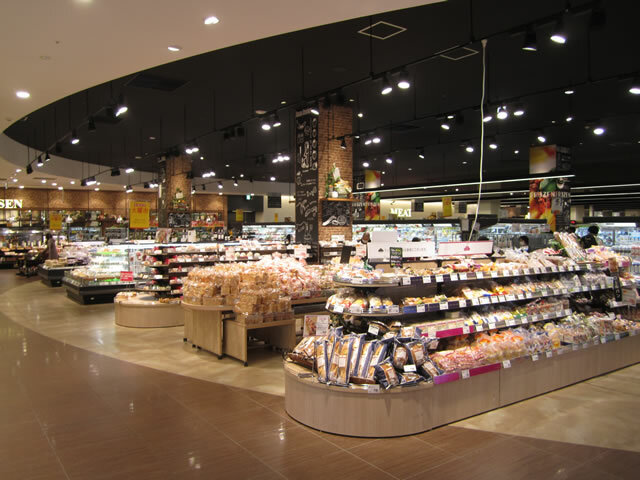 Interior design and facility, including passageways and lightings are redesigned and enhanced to create the most comfortable shopping environment for customers to enjoy a relaxing shopping time. There are gathering spaces for shoppers to take a rest during their shopping. 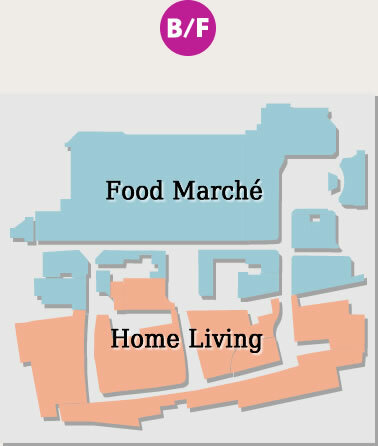 The current general merchandise stores have floorsand layout planned by food, fashion and household departments. 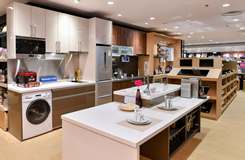 Each department provides a variety ofdaily necessities and displays the products on its sales floor for customers to explore mostly self-service shopping. AEON STYLE makes a breakthrough from the traditional floor planning and provides customers with comprehensive lifestyle solutions. 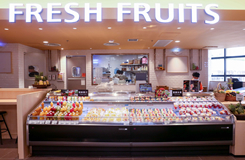 Each floor, layout by lifestyles, offers diversified specialty goods in addition to basic commodities presented in a way to let customers understand their true value. Services are enhanced with more interpersonal communication, providing professional advices and chances to physically experience the products. 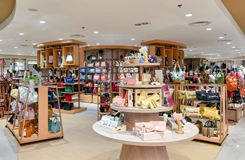 The first AEON STYLE in Hong Kong is now open in Kornhill Plaza. This whole new concept from Japan is going to present to you a brilliant new look with many surprises. The floors in AEON STYLE Kornhill are redesigned according to customers' lifestyles, each with its own theme and many new elements. Gathering space is available on all floors so that every member in the family can enjoy a great time shopping and relaxing. On this floor, you find all you need for your kids and babies from comfortable and cute clothing, furniture to toys and stationery, as well as maternity items. There are play areas for kids to explore their world and restaurants for multi-generation families to enjoy quality time together. A selection of quality babies and kids apparel brands. 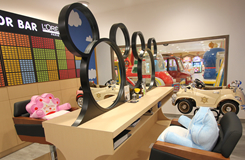 Play areas are provided for kids to try new toys and have fun with friends. 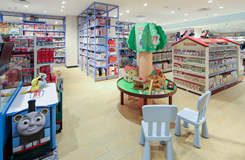 Kids' and babies' show rooms give you inspirational decorating ideas. This floor provides high quality and comfortable ladies' and men's apparel, underwear, bags, footwear as well as sportswear, outdoor clothing and travel goods. 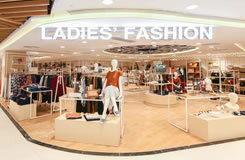 There are also designated zones of ladies' and men's accessories. 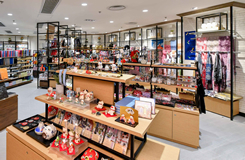 In addition, specialty shops of variety goods, stationery, cosmetics and trendy items are introduced from Japan to satisfy growing customers' needs for a unique lifestyle. "Adult Study" provides a great variety of quality stationery products. 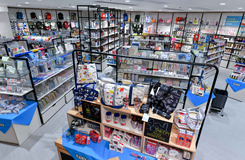 In the "Japanese goods" zone, you find many different Japanese-style popular products. 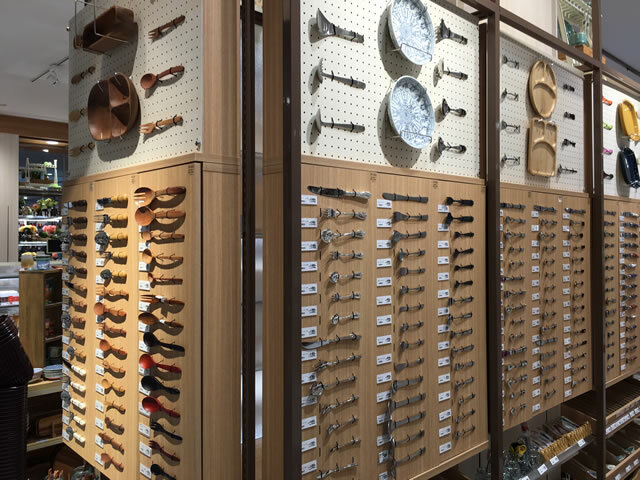 Japanese lifestyle variety shop "R.O.U"
This floor provides not only basic household items, but also new and professional cookware, bathroom amenities and high quality eating utensils. 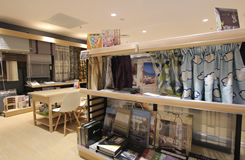 Tailor-made furniture and furnishings are also available and customers can physically try on the products. 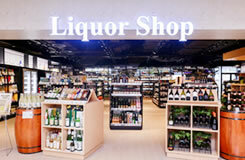 In addition, the popular Japan drugstore satisfies all your needs for health and beauty. Introduced from Japan, the first "Glam Beautique" provides a lot of cosmetics and personal care products. 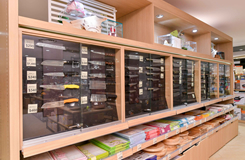 The chopsticks and knife counters offer a great selection of products from basic to professional. 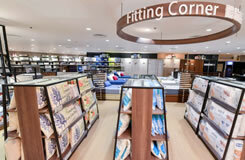 The pillow fitting corner is where you can choose the most suitable one by trying on. In the health and beauty concept shop "AEON BODY", you can even enjoy massage or tea time. The "order curtain" zone provides one-stop service. Tailor-made cabinetry design and appliances give you a unique kitchen. On this floor, you find everything about "EAT". Many new elements are introduced to enhance your eating experience. If you get hungry during shopping, you can just pop into any of the eateries and enjoy some great foods. 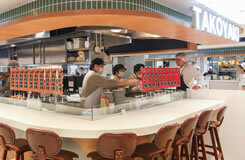 The "rice milling" counter serves you with freshly milled Japanese rice. 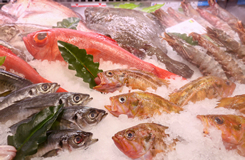 Fresh seafoods, including MSC/ASC certified products, are displayed on ice pallet. 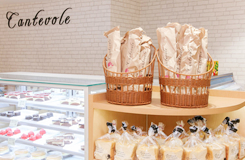 The Japanese bakery shop "Cantevole" bakes fresh breads and pastries every day. 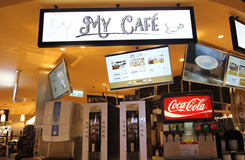 You can taste different kinds of coffee and pick what you like at "My Café". 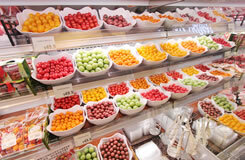 At the mini tomato self-service counter, you can pick what you like and how many you want. 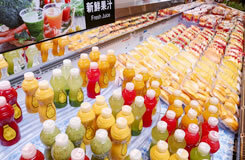 Fresh fruit juices are squeezed on demand. 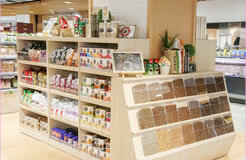 The new organic and healthy zone serves the needs of a healthy and sustainable lifestyle. The "Eat-in" corner features delicacies from around the world. 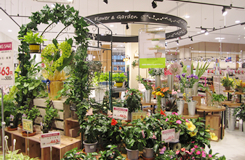 A new florist shop makes your days more colourful. 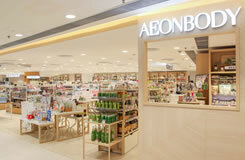 Following the great success of its first overseas store, AEON STYLE has opened the second flagship store in Kowloon. 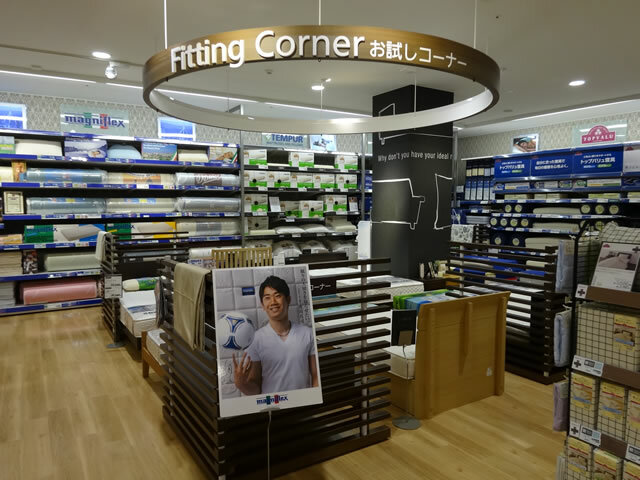 Located in Whampoa Garden, the new store is bringing this new concept from Japan to more customers in Hong Kong. AEON STYLE Whampoa presents a brilliant new look with new zoning according to customers' lifestyles and many new elements. With the soon-to-be-opened MTR Kwun Tong Line Extension, customers can enjoy a more convenient shopping experience. 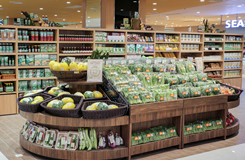 From Japanese to worldwide selections, here you can find everything about "EAT" with the keywords "delicious", "healthy" and "ready to eat". The new "Eat-in" corner features delicacies from around the world to let you enjoy great foods any time. Japanese traditional foods such as Okonomiyaki and Takoyaki are freshly made. 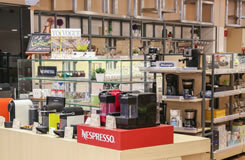 Coffee Counter provides high quality coffee beans. The Liquor corner enriches its selection with more high-grade Japanese sake. 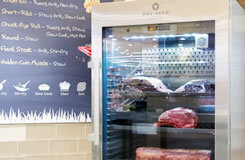 The Meat corner provides the popular dry aged beef and cooking ideas for customers. 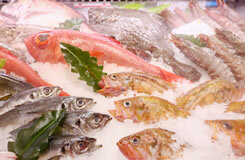 Fresh seafoods imported from Japan are displayed on ice pallet. 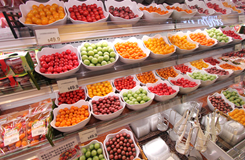 At the tomato and nut self-service counter, you can pick what you like and how many you want. Fresh cold-pressed juices are squeezed on demand. 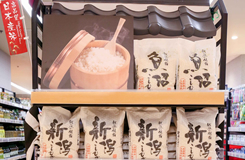 The "rice milling" corner provides freshly milled Japanese rice. Cookware, tableware, bathroom amenities as well as furniture and furnishings are provided and displayed with home decoration ideas. 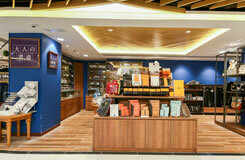 In addition, there are specialty shops of health & beauty care products. 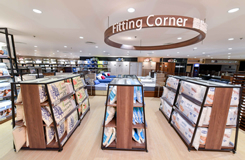 The healthy bedding corner provides pillow measuring service for you to choose the most suitable one. Coffee making demonstration counter with cross-section display of coffee making tools, coffee beans and other accessories. 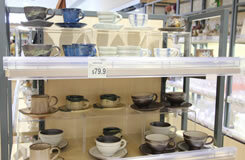 High quality made-in-Japan ceramic tableware to enhance your dininig experience. 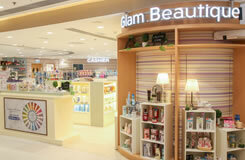 Introduced from Japan, "Glam Beautique" provides cosmetics and personal care products. 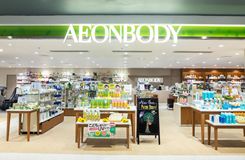 The health and beauty concept shop "AEONBODY" provides natural and organic products. 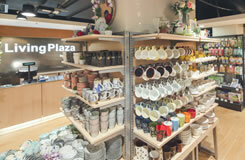 Living Plaza by AEON provides a vast variety of household items imported exclusively from Japan at attractive prices. Brand new interior design creates a relaxing and playful atmosphere.Besides clothing, furniture, toys, stationery and maternity items that you can shop for your kids and babies, there are also play corners for kids to enjoy their time. 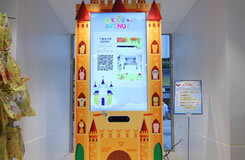 AR (Augmented Reality) game and photo device. 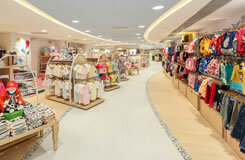 A worldwide selection of quality babies and kids brands. 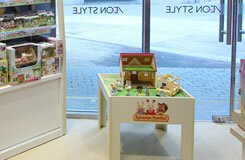 Play corners are provided for kids to try out new toys and have fun with friends. High quality ladies' and men's apparel, accessories, sportswear and travel goods are provided to suit different styles and occasions, with new brands introduced from Japan. 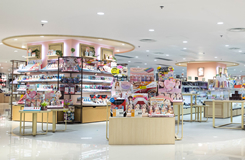 Variety goods, stationery, cosmetics and trendy items are also available to satisfy growing customers' needs for a unique lifestyle. 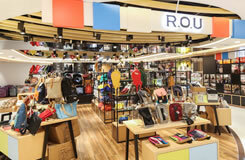 Japanese lifestyle variety shop "R.O.U" is where customers can shop in a carefree and happy atmosphere. Fashion brands introduced from Japan provide trendy apparel for ladies and gentlemen. Copyright©2019, AEON Stores (Hong Kong) Co., Limited. All rights reserved.